Sheep have not had a large following in the agricultural industry across the United States in many years. In the US, sheep have never been used to the extent that is found in other countries, but in the last few years, they are making a huge comeback, with sheep popping up on farms all over the place. Raising sheep is, for the small farmer, a real opportunity for savings, profit, and a farm crop, without needing large-sized acreage. For many part-time farmers, large barns, facilities and big expanses of pasture, with the equipment and other expenses, are not only unrealistic but undesirable. The small farmer is looking for a good profit off of a small and easy-to-maintain area that does not require expensive equipment and out-buildings. Many of today’s small farms and homesteads are run by people who are retired, or still working off the farm, so they need to be able to complete their chores easily after work and on weekends. Sheep present a wonderful opportunity to do just that, and their potential is quite promising for any small place, from one acre to hundreds. For many folks already homesteading, the potential to expand into other areas is exciting and rewarding. Sheep are an economical animal to raise, with minimal hay and feed requirements. Most breeds are inexpensive as an initial purchase, and are also easy to raise and care for. Some breeds are more delicate than others, and a heritage breed might be the best way to start and learn the ropes with. The ongoing myth that sheep are difficult to raise and prone to lambing problems is just not true, yet you will hear this from many people. Breed, husbandry and good health care can eliminate most problems that occur, making sheep an easy and profitable alternative, even for the beginning shepherd. Generally, you can keep 8 – 15 sheep on one acre, whereas that area would not support even one cow and calf pair, which require 1.5 to 14 acres depending on the quality of forage. Cows also require somewhere around 25 pounds of forage/hay per day, where sheep only need about 2.5 pounds during normal times, as much as 7 pounds during lactation. 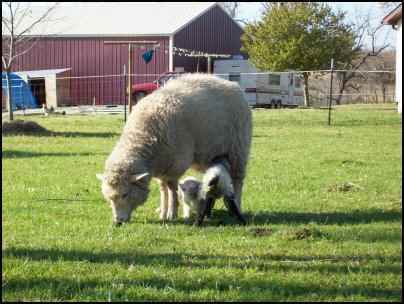 So a very small acreage homestead can be utilized as an opportunity to raise a crop of lambs, wool, and even milk. Most sheep have an average reproduction rate of about 200% and so you can grow a respectable flock in just a few years with the purchase of a new ram every year or two to avoid inbreeding. As gas prices have soared in the last 7 years or so, farmers and people with larger lawns are looking for alternatives to weekly and bi-weekly grass cutting. On our two-acre yard we would use approximately 2-5 gallons of gas to do the mowing and all the trimming needed for a nice looking yard, depending on how heavy the grass is. On average, it costs about $10 per week for grass mowing, trimming, equipment maintenance and miscellaneous expenses. To pay for the lawn to be cut, we would be charged $40-60 per week, and in heavy growth times, the lawn needs to be cut twice each week. So under these conditions, a person with a two-acre yard can expect to pay from $10 to as much as $120 per week for lawn maintenance. You are also committing about 3 to 8 hours of labor a week on lawn care if you mow yourself. The rising costs of fuel have made lawn maintenance mildly to moderately expensive for everyone, especially people in rural areas with larger expanses of lawn. Here in the Midwest, grass begins growing strongly, about the end of March. This last year, the grass was finished growing, and mowing done for the year in the middle of October. That adds up to about 28 weeks of grass cutting over the whole season. In spring and fall, the grass needs to be cut twice per week, and during dry seasons, only every week and a half, a reasonable average would be about 32 cuttings required to maintain the lawn at a reasonable length and appearance. At our lowest cost for our two-acre lawn, this added up to $320, and the highest cost would have been over $1,900 to have the work done by hire. We certainly could never afford to have the lawn cut for us, and with the cost of gas, plus the minimum of 96 hours in labor—much of which is hot, sticky, and quite unpleasant—we were looking for an alternative. Sheep can, and do, provide a very good solution to this problem. They will graze your extra areas and keep the grass clipped to a perfect level for most of the growing season if you have the proper number grazing on your lawn. You can use 3-7 sheep for every half-acre area, depending on the breed. They will usually keep most of the grass well manicured, without overgrazing. We had to cut the grass twice last year because in one area they couldn’t quite keep up with the growth in early spring when all the rain came. So we saved a lot of time, and also quite a lot of money. 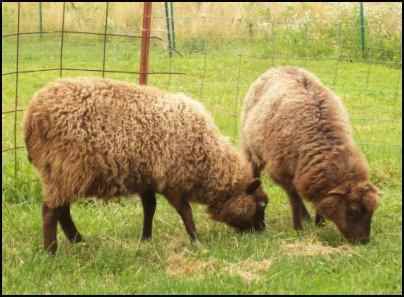 Of course, the sheep take some care, and labor, plus they incur costs too, but you can still save quite a lot of time, and money by avoiding lawn care, besides sheep are more fun than cutting grass! 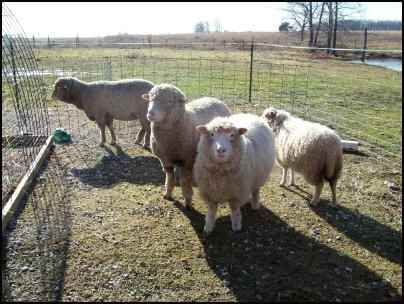 You will want to separate your sheep from your personal use areas, as well as from shrubs, trees, and yard plants that you don’t want to be consumed. You will also need to check to make sure you aren’t growing anything that is toxic to sheep. The manure will be dropped here and there, and is usually dry and pellet like, such as what deer leave. It has a very low odor and is easy to clean up, but can be profuse. A small fence around children’s play areas and your house might be nice, so that you can avoid the mess and clean up of the manure in these areas. Most areas of lawn are not an issue, but you will want to keep your entrances to your house, walkways and high use areas off-limits to the sheep unless the frequent piles of pellets are not bothersome to you. It should not be a problem except in areas for barbecuing, swing-sets, and other places where people will be walking, sitting, and enjoying the grassy area regularly. It is a very good idea to fence these areas off, so that manure is not a problem to clean up, and you can avoid constantly tracking it into your home. In other areas, the manure will wash down into the ground nicely with each rain and is perfectly suited to be applied directly to gardens and beds. The area where the sheep bed down and chew their cud will accumulate a large amount of manure, so be sure to make this place somewhere that this will not be a problem. They will provide your lawn with excellent fertilizer year round, and your grass will look green, very healthy and lush if you ensure that it is not overgrazed and gets plenty of water. Any manure that needs to be removed is easily raked up and applied on the garden, flower beds, or around trees. If you place a bit of straw or mulch on top of it, it will make a wonderfully rich and nutrient-rich place for optimum growing for almost all plants. It need not be aged or composted before application as it is a very neutral type of manure, perfectly suited to this sort of application. Your sheep will have some basic needs that must be provided, besides food and health care. They need plenty of fresh water and shady areas during the warmer times of year. They also require shelter from wind and rain throughout the year. These are the minimum environmental requirements for most breeds of sheep. You can make small shelters for them, out of unusual and often free materials. We have very successfully made shelters from old camper shells people have given us. The cost of these structures is minimal, a platform to raise them high enough for the sheep to enter, and often we needed to board up a missing window. These are wonderful because you can open the working windows in summer for good ventilation. Hoop houses can also work well, and some shepherds even use old trampolines with tarps and other odd things to make inexpensive and useful shelters for their sheep. Depending on what you have around, and how inventive you can be, shelters can be very inexpensive. Existing sheds, lean-tos and equipment buildings or barns also work very well for sheep. The basic need is for shade outside in the warm seasons, and shelter from wind and rain all year around. The basic shelter needs of sheep are easy to provide, and can often be made with little or no expense. Your sheep will also need some basic mineral supplements, none of which need to cost much. It is very good to provide sodium bi-carbonate (baking soda) for them all year, but especially when the grass is growing fast as this will help prevent bloat, which can be deadly. They should also be given a mineral mix, or mineral block formulated just for sheep, as well as salt. It is necessary to always give sheep foods that are formulated just for sheep, as they have a low copper tolerance and can die from too much in their diet. 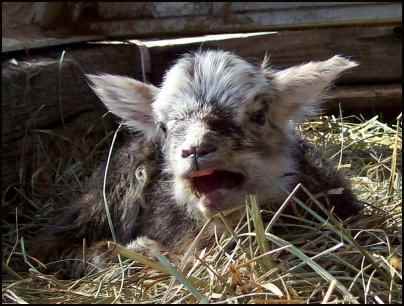 Goat feeds, dairy and many other feeds have much more copper than sheep can safely tolerate. Most sheep do not require much or any grain, so that cost is very minimal, but varies from breed to breed. It is a good idea to feed grain to ewes just prior to, and during breeding as well as the rams, as this increases your lamb crop, and improves overall flock health. Some grain supplementation is also recommended during lactation as well. The cost of providing these feeds is minimal and somewhat up to the farmer, they are also dependent upon the type of sheep you decide to raise. Grain is often optional, depending on your flock’s breed, and your farm goals. Hay prices vary considerably, and hay will be your major expense for raising sheep. Round or square bales can be used, according to the individual needs and feed options of each farm. Your hay needs will also be affected by the choices you make with your grain ration, as the grain can provide some of the needed nutrients and offset poore-quality hay. Hay will be your biggest feed expense and in some years can be quite high, but the cost is still significantly less than for other livestock such as cows. Cows can require 25 pounds of hay per day but sheep only need a small amount of 2.5 -5 pounds per sheep, each day. The actual cost of maintaining your sheep will vary widely from area to area, but with these general guides, you should be able to tell about how much they will cost to keep. A rough estimate of medium quality hay will be about 10 – 15 square bales per winter, per sheep. Hay prices vary, but sheep are a very economical animal to raise because of the small amount of hay they need to maintain body condition. The last consideration of raising sheep is that you will need to provide good, tight fencing for the sheep, to keep them in, and predators out. Many shepherds use field fence with electric on top and bottom to prevent climbing, and tunneling under. This again will vary widely from area to area and can be a big obstacle for the new shepherd. Another option available is to use the movable electric mesh fencing. Many people have used this with great success, but for sheep, you must train them to it when they are freshly shorn, as the wool insulates them, and they will not feel the shock when sporting a full wool coat. There are many fencing options available for sheep, but it is necessary to have some sort of woven wire, like barbed wire, electric stranded, and other conventional wire type fences will not keep sheep in, nor will it keep dogs, and coyotes out. Even with a woven type wire, you may have a Houdini who will slip under a loose section. An electric wire, or stakes between posts easily prevents this and tightens up your fence against predators. The benefit of this type of fence is that it is usable for all animals if it is well built. Sheep do need very good fencing, to keep them in their area, but also to protect them from dogs and predators. Sheep do have some special needs to consider, the most expensive being fencing. If you have acreage that you are cutting as lawn, you may very well be able to graze sheep on this area and save some money and time in the process. Sheep are interesting and fun creatures to keep and will provide lots of entertainment and enjoyment. 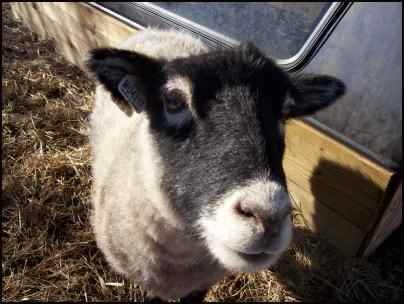 From romping lambs to favorite ewes, they will often steal into your heart a life long love of these wonderful animals. Sheep can keep your lawn maintained quite well, for less money. 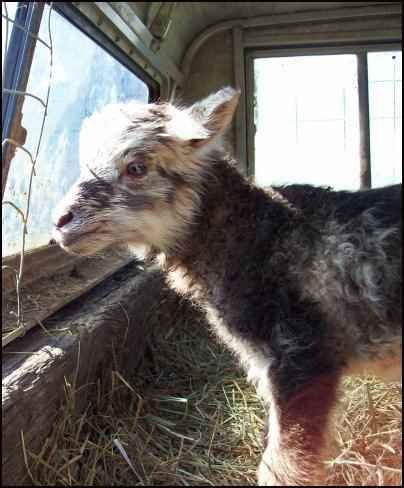 They will also provide you with wool, milk, and lamb for your table, or to send to market. So sit back with a glass of lemonade and enjoy some sheep watching instead of mowing the grass, trust me it’s a lot of fun.